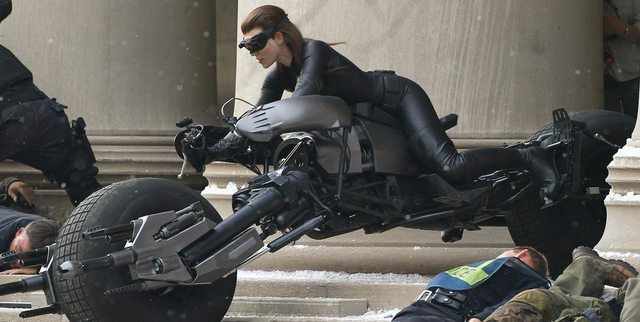 Last Friday, Catwoman’s stunt double had an accident during the The Dark Knight Rises filming, she crushed a super-expensive IMAX camera as you can watch in the video. It’s unclear who messed up, the stunt-double or the cameraman. It was all shot outside some building at Carnegie Mellon University in Pittsburgh.